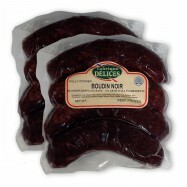 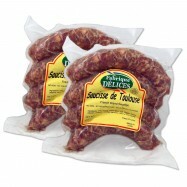 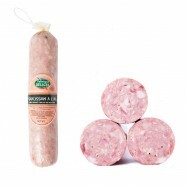 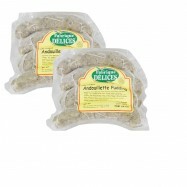 Buy gourmet sausages online from Levillage.com! 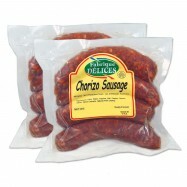 Our gourmet sausages are handmade the traditional way and bring incomparable taste and flavor to your dishes and barbeques. 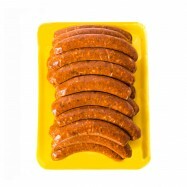 Perfectly seasoned, our ‘’all-natural sausages’’ are produced with meat guaranteed without preservatives, free of hormones, antibiotics, artificial ingredients, nitrites and MSG. 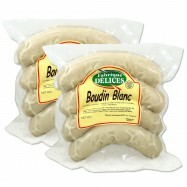 Levillage.com’s selection ranges from raw to fully cooked specialty sausages and includes Mediterranean pork-free spicy lamb sausages or merguez, French-style blood sausages, boudin blanc, andouille and Toulouse sausages, Mexican-style chorizo sausages, Italian-style chipolatas as well as duck, game and venison sausages. 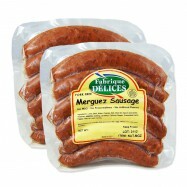 Since 1997, these finest and healthiest gourmet sausages can be delivered at your doorsteps within 24 hours. 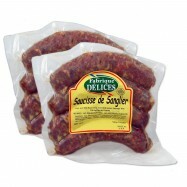 For dry or cured sausages, please visit our ‘’Salamis’’ section.